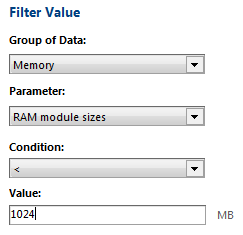 10-Strike Network Inventory Explorer allows you to create reports on network computers with insufficient RAM size or disk space (e.g., all computers with less than 512 MB of RAM). 3) Save or print it. Similarly, you can create reports on computers with particular CPU models, video cards or printers. The program is installed on administrator's computer only and uses WMI technology for scanning the hardware and software on remote network computers. It does not require any additional components on users' computers. 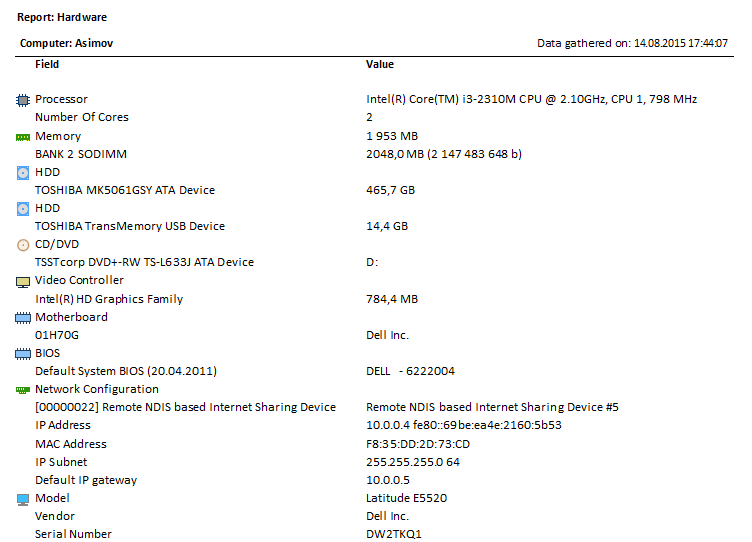 10-Strike Network Inventory Explorer contains a powerful report generator which allows creating hardware and software reports in various file formats (PDF, HTML, RTF, XLS, etc.) for single computers or for groups of computers (per departments). The program has got dozens of ready pre-configured nice report templates for you.